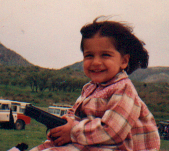 The Peshmarga spirit in Kurds… where is it today? your father, your grandfather, your great great grandfather; your uncle, son, brother or relative. 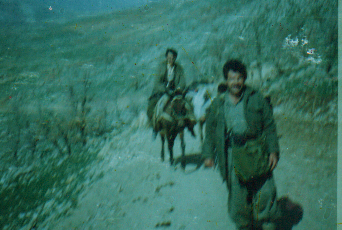 Almost every Kurdish family has a Peshmerga that can sit and for hours tell stories of their experience during the years they spent in the mountains. The Peshmerga that fought risking his life and literally faced death for the Kurds, the Peshmerga are those that brought Kurdistan to what it is today are unfortunately losing their spirit in the ‘Modernizing’ Kuridsh society. The men who were honest, strong and faced death; who are what ever he could see, who fought in the coldest winter days through the snow and through the hottest summer days under the sizzling sun. Those who fought for no return, who fought with their hearts and blood. Just for you and I to live in a place called ‘Kurdistan’. What are we, as Kurdish youth, doing today to pass our sincere gratitude for those men who fought for our future by facing death? It is people like Mir Mokhsen that we must appreciate and respect for today, tomorrow and always. Instead of winging and blaming people for the problems our nation faces today, youth should also consider the horrendous past the Kurds suffered. I hope today’s gentlement will grow to have even a ‘tiny little bit’ of the peshmerga spirit that their fathers and gradfathers had… unfortunyately it is not always evident. Just talks, not true freedom fighters who are deep with emotions for their nation. Mandali, Khanaqin and Faili Kurds…!! So you say: "I am bored?!"